Heatreflect Alp - Heatreflect - Trade Names - ZT | Zippertubing Co. The HeatReflect® family of products are high-temperature, fiberglass-reinforced, heat-reflective tapes. 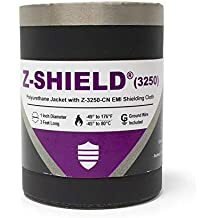 These tapes provide excellent thermal protection indoors or outdoors without the need to disconnect your components for installation. HeatReflect® is available in two different styles. You can choose between a medium-weight material (ALP-500) which is great for larger applications or a light-weight material (ALS-5) which is much more flexible. Both styles of HeatReflect® tape are fiberglass-reinforced with an aluminum foil surface on one side and rated for 149°C (300°F) maximum operating temperatures. The adhesive of these products features an acrylic, high-temperature, clear adheisve that provides a secure method of applying this tape to many different types of applications. HeatReflect® (ALP) is a medium-weight, fiberglass-reinforced, high-temperature tape that is coated with polyurethane and features an aluminum foil surface on one side. 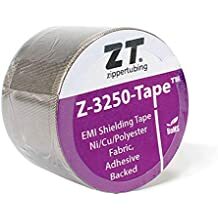 This thermal-reflective tape is intended to be used in applications where high-temperature heat protection is required for either indoor or outdoor electrical wires, cables, hoses or pipes. HeatReflect® (ALP) can withstand continuous temperatures of up to 300°F. The acrylic, high-temperature, clear adhesive backing provides a secure method of applying the tape to many types of installations and applications where thermal reflective protection is required. The material used in HeatReflect® (ALP) tape has been tested to SAE J 2302 requirements.